WHEN THE NEXT version of Windows arrives this summer, it will come with a game that is as addictive as Solitaire and Freecell were years ago. Candy Crush Saga, the popular mobile puzzle game, will come pre-installed for anyone who buys or upgrades to Windows 10. Players will be able to carry over their progress to iOS and Android and other King titles are expected to arrive for Windows 10 as well, according to Microsoft. Candy Crush Saga was demoed at Microsoft’s Build conference last month as a way to show off some of its new tools. The tools in question help developers port iOS and Android apps and games directly over to Windows universal apps. 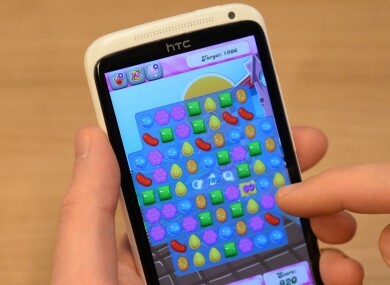 While King isn’t as dependent on Candy Crush Saga for revenue and it beat Wall Street estimates when it released its latest earnings report last week, it saw its stock fall by 11% hours after posting a pessimistic outlook for the second quarter. The game will follow a long list of games included with Microsoft products since the early 90s. One of the first ones was Gorillas, which was included with MS-DOS in 1991 and required you to hit a rival gorilla by throwing explosive bananas at it. One of the most famous games to feature on Windows was Solitaire which came included with Freecell and Minesweeper on Windows 95. Hover! was included with the Windows 95 CD and was all about capturing flags before your opponents do (you can even play it here if you want to relive the memories). And 3D Pinball originally came with Microsoft Plus 95 before being included with Windows NT 4.0, Windows Me and Windows 2000. Email “How Candy Crush Saga is going to be the new Solitaire on your computer”. Feedback on “How Candy Crush Saga is going to be the new Solitaire on your computer”.